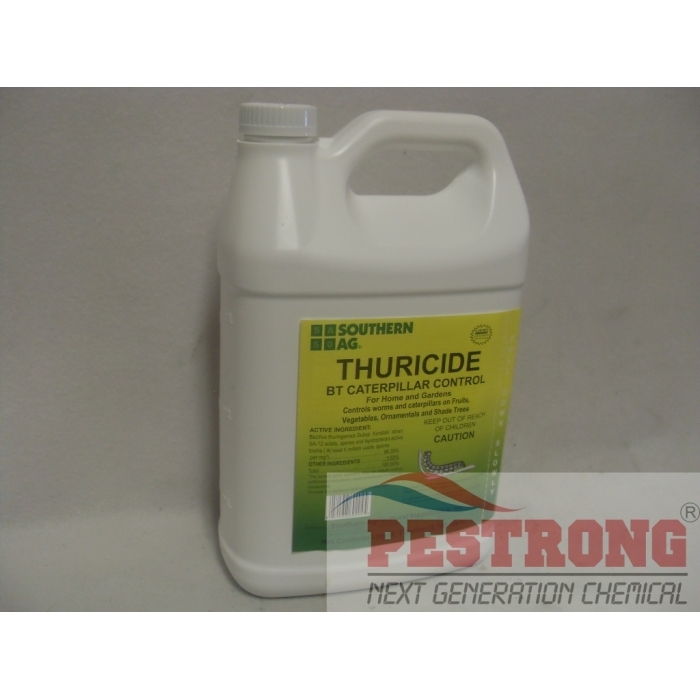 Where to Buy Thuricide Insecticide, Thuricide BT Caterpiller Control Insecticide Dipel - Pt - Gal - $13.55 for Sale with Fast Free Shipping! 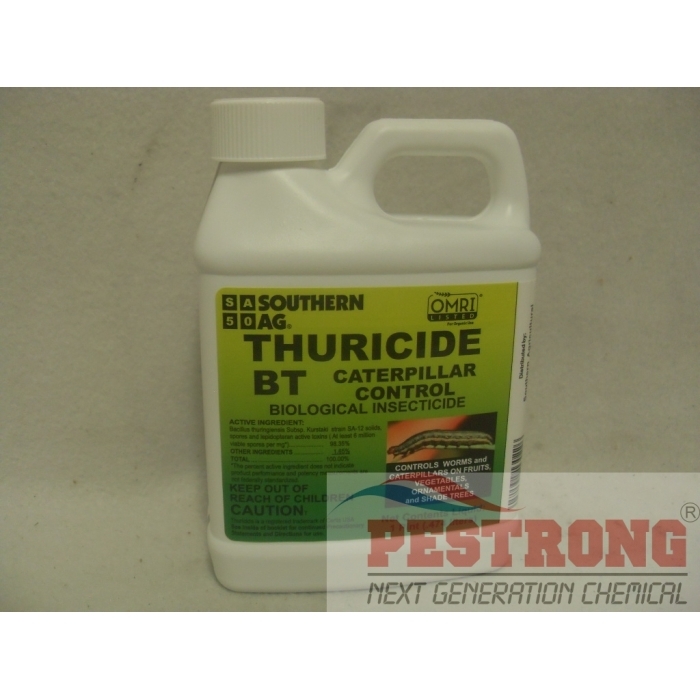 Thuricide BT Caterpiller Control Insecticide Dipel - Pt - Gal is low toxicity to humans and animals that provides same active ingredient as Dipel. CONTROLS: lepidoptera larve: caterpillars and worms. i.e. cabbage looper, orange dog, tobacco hornworm, imported cabbageworm and rindworm. 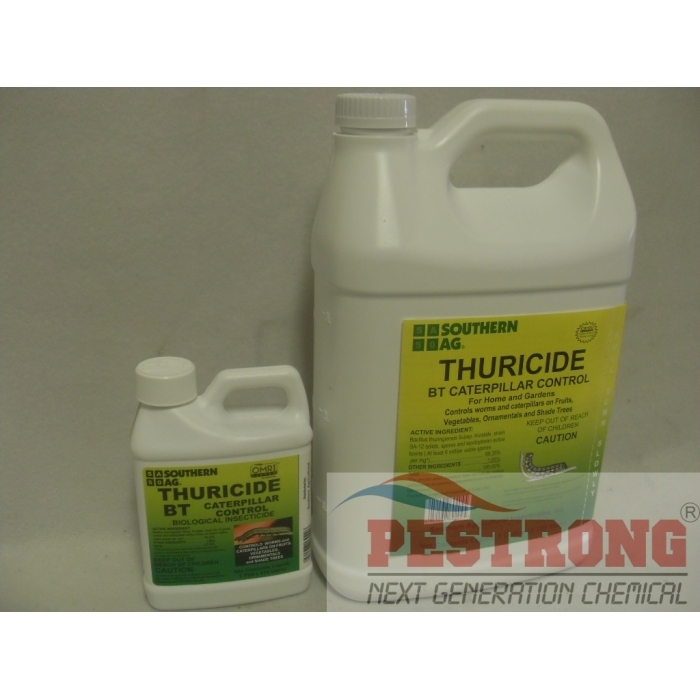 APPLICATION: Mix with water, add spreader-sticker, use as a thorough cover spray. The bugs like my brandy wines but I have kept them safe with the Bt. after a week, I applied the product, my plants started to look beautiful again. This works great on St. Augustine grass I apply at the first sight of webworm. Apply in evening.